EE's Harrier Mini is a budget 4G smartphone and the cheapest way to access EE's new Wi-Fi Calling service. 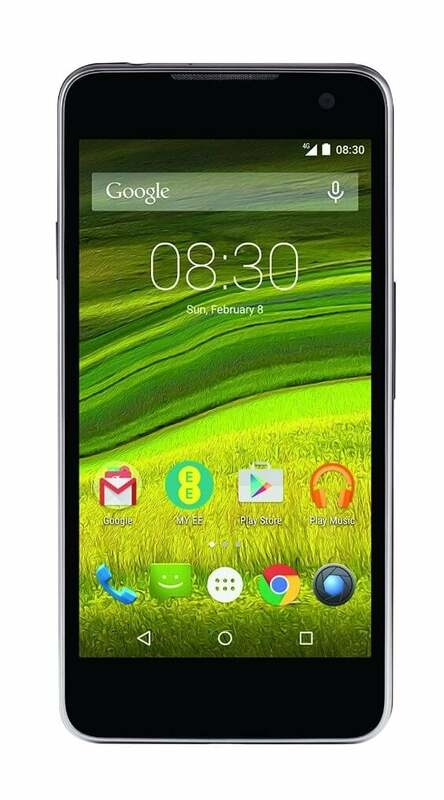 It's smart-looking handset with a brushed-metal-effect on the rear, and a large HD screen. Everything else is typical for the price, making it a good value. EE's Harrier Mini is one of the most affordable ways to enjoy 4G and sports plenty of strong features. However, you will have to put up with the occasional stutter and jerk and the camera can be a little frustrating. For a solid alternative, check out the new Motorola Moto E.
A decent phone on PAYG, but the Harrier Mini has its wings clipped by high contract prices, a mediocre screen and sub-par camera. Every day, we search through thousands of tariffs and offers from UK online retailers to find the best EE Harrier Mini deals and contracts across a selection of price points and needs. Select 'Pay Monthly' if you're looking to get the EE Harrier Mini as part of a monthly contract with minutes, data and texts. Alternatively, choose 'No Contract' if you prefer to buy the EE Harrier Mini SIM Free or on Pay as You Go. Finding the perfect deal is easy. Just use the sliders to filter tariffs for minutes, data, monthly cost and upfront cost. You can also filter by network and retailer to find the best EE Harrier Mini deal for you! The cheapest contract price in this category is cheaper than buying the EE Harrier Mini SIM Free and a comparable SIM Only tariff by . You could save on the cheapest contract price in this category by buying the EE Harrier Mini SIM Free and a comparable SIM Only tariff separately.